You've probably seen someone talking to themselves and thought they were really weird, right? 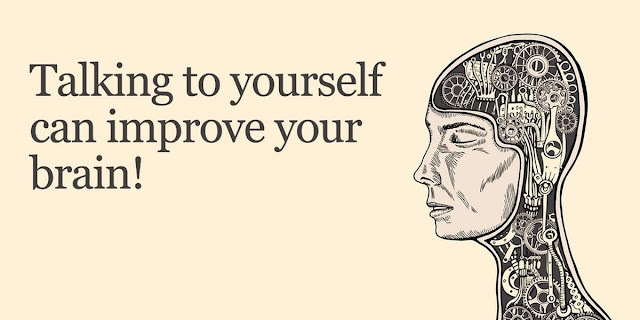 Well stop thinking it and start saying it to yourself, because people who talk to themselves are actually pretty brilliant. Why? They organize their thoughts better. That's right. Those who talk to themselves are better at organizing their thoughts and processing more than one thought at a time. They focus on saying their thoughts aloud in the hopes they can get a better grip on them. They actually have greater mental clarity as a result. They have a better memory. People who say things out loud to themselves are likely able to memorize and recall things better than those who don't. It's a way of reinforcing a thought inside of your brain. Their brains are more efficient. Some studies have indicated that talking to yourself helps you think quickly and with clarity. They found that when people talk to themselves at the store, they find what they need quicker than those who didn't. People who talk to themselves, particularly about their goals, are more likely to achieve them than those who don't. Saying it out loud helps create a laser-like focus on your goals and gets you closer to them.